Cellulite is a term used to describe the look around the thighs, buttocks, stomach and legs which resembles cottage cheese. This happens when fatty deposits assemble in between the connective tissues of the skin and bulge out creating a lumpy appearance in the above mentioned areas. There are several factors that are involved in determining whether or not you may have cellulite. These are genetics, eating habits, the amount of fat in your body, skin thickness and activity levels. 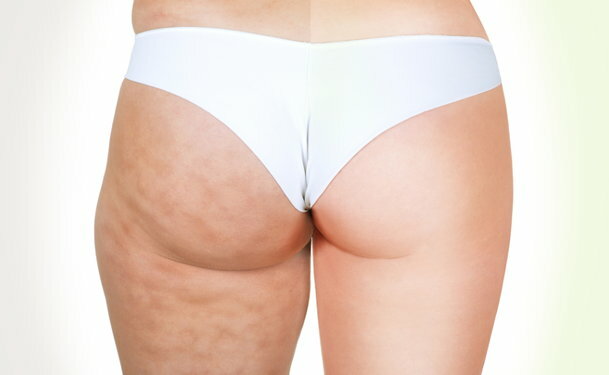 There is no one specific miracle cure for cellulite, especially if you are genetically predisposed to having cellulite. There are treatments, creams, surgeries and other treatments to help reduce the appearance of cellulite, but none that will completely and permanently remove cellulite from your body. All medical treatments are ineffective at removing it from your body forever, but there are a number of medical treatments which can visibly reduce the signs of cellulite. Liposuction is a type of surgery that is designed to remove deep set pockets of fat from the body to immediately create a slimmer figure and drastic loss of weight. This is major surgery and should never be considered lightly. This procedure, however, is not very effective for cellulite since this is a type of fat that exists close to the surface of the skin. Results from liposuction are temporary and not always as effective as the patient may think. Lipo Dissolve is a cosmetic treatment designed to, as the name states, dissolve those pockets of fat close to the surface of the skin. Using things found in the body already, lipo dissolving is designed to to remove smaller pockets of fat deeper into the skin, generally just below where cellulite sits. This is not an overly effective form of treatment for cellulite, as it requires multiple injections over a number of weeks and does not specifically treat cellulite. Much like Lipo Dissolve, Mesotherapy consists of a series of injections, but these are just below the skins surface to treat fat deposits closer to the skin. Depending on the levels of cellulite in the body, the dosage and type of ingredients in the injections will be a little different from patient to patient. 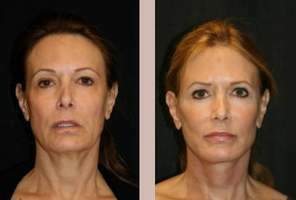 In order for the results to be more permanent, additional treatments may be needed every 6 to 8 months. Again, there are not permanent cures for cellulite but, with mesotherapy, the treatments are designed to be close to the skin where cellulite exists. Over the counter cellulite creams, while not medical treatments, are the most common forms of treatment used for cellulite. These creams claim to reduce the appearance of cellulite, but the majority of people don't see results. These are all ways to help reduce the appearance of cellulite, but it does not remove the cellulite. Using creams is something that must be done daily to keep the appearance of cellulite to a minimum. Along with exercise, a healthy diet and regular attention to the affected areas, cellulite can be kept under control.